Albania is a place that just a few short weeks ago, we really knew nothing about. 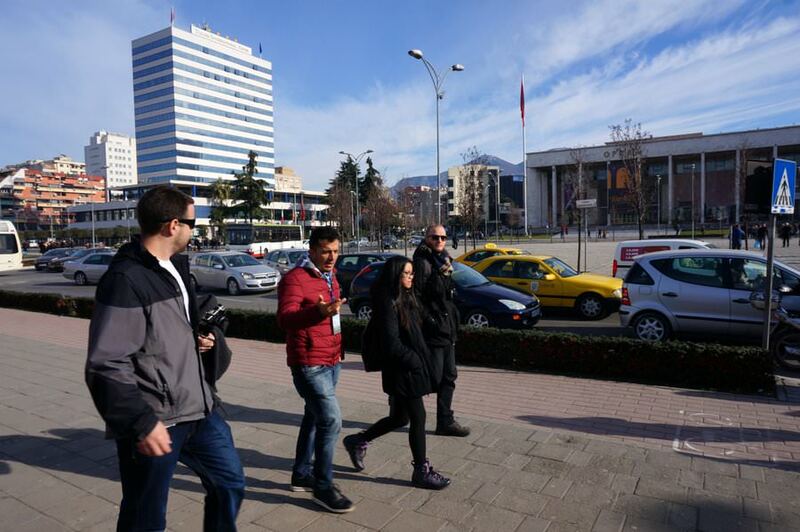 We arrived to the nation’s capital of Tirana at night – after a 10 hour bus ride from Skopje, Macedonia. That first evening we really didn’t get to explore much, but the excitement of arriving in a new country was rushing through us and we were looking forward to beginning our epic 10 day road trip around the country. In almost every major Balkan town there is a free walking tour that takes visitors around to historical sites and gives them a taste of history and the day-to-day life of the local people in the region. We’ve been joining these tours wherever we can and we believe that they’re the best way to immediately immerse ourselves in each culture and learn about what makes the people tick. So far we had been on free tours in Plovdiv and Sofia, both in Bulgaria. 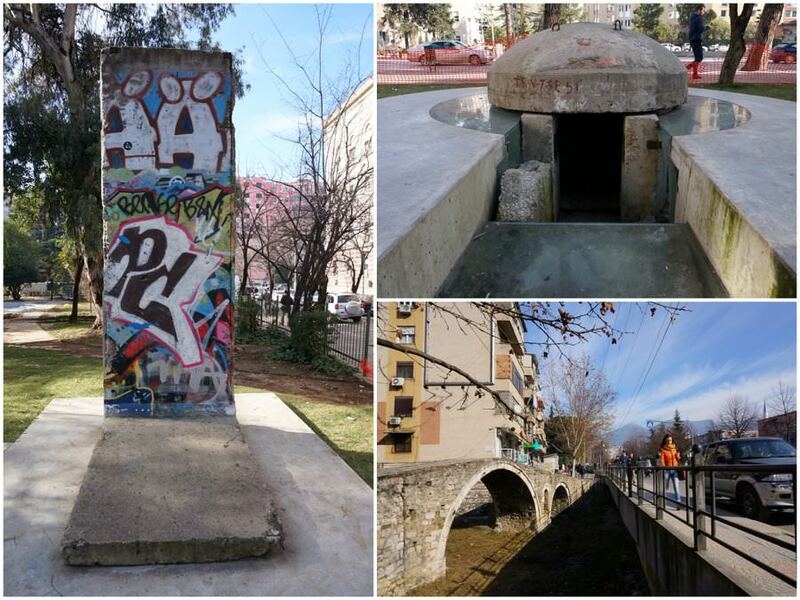 Tirana’s walking tour was unique because the guide had very personal accounts of his life growing up during Albania’s communist regime. Instead of simply pointing out sites and rattling off scripted dialog about dates, architecture and wars, our guide, Gazi, brought the tour to life with tales of him and his brothers dealing with global isolation, living with daily rations and fighting for simple freedoms that we in Canada took for granted growing up. His tour set us up with a better understanding of the wild country of Albania. Without Gazi’s emotional stories and descriptive memoirs, we may not have been able to grasp why Albania is the way it is. Even with his anecdotes, we still have much to learn about the country. After the tour we bid farewell to our guide and set out on our road tripping adventure! The first confirmation of Gazi’s words came when we picked up our rental car and started driving out of Tirana. Pedestrians crissed and crossed back and forth across the busy streets. Cars swerved left to right, with 4 lanes created where there should have been two. Motorbikes weaved their way through impossibly tight traffic, and people honked at every light and round-about. Look at our sweet ride! Driving was a bit difficult though…except along the coast. Gazi had told us that during the communist regime, the road was only for professional drivers and very few people had the privilege of driving. So today, the most experienced motorist may only have only been behind the wheel since the start of the 90’s. On top of that, the entire driving infrastructure of the country is very embryonic, with hardly any full-sized highways and only small, bumpy roads connecting most towns. This is to say that driving in Albania was an adventure – one that was fun most of the time, but incredibly frustrating and dangerous the rest. We finally made our way out of the chaos of Tirana, only to get lost in the forgotten farmlands of Albania’s countryside. We had GPS in our car, but the GPS in Albania is a navigational estimate at best. We definitely needed a beer after some of our travel days here! At one point, the annoying automated voice instructed us to turn left – directly into a castle wall, while another time, had we followed the directions, we would have ended up in a landfill canyon! 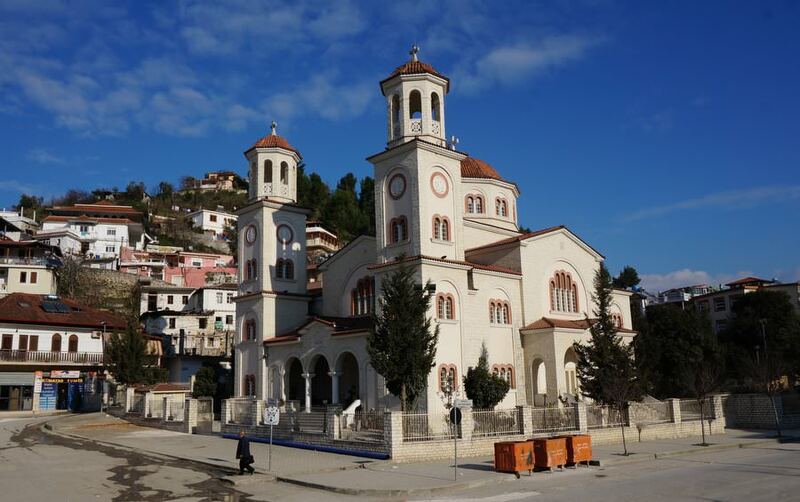 By the time we made it to our second stop, Berat, we were exhausted (even though it was only 3 hours from Tirana). But again, the excitement of being in a new place charged us to go out and explore. Berat is a beautiful town. Hundreds of ottoman era homes climb up a steep hill that flanks a deep gorge. The canyon is cut out of the jagged rock landscape by a rushing river. The stream itself was lovely… from afar. Upon closer inspection we realized that there were ghosts in all of the trees along the riverbed. A sort of haunting site that looked like some kind of Halloween production. Plastic bags, bottles, discarded clothing and cardboard were draped over every branch of every tree. The river was a dumping ground for refuse and over the years, so much of the trash had built up that the bank of the river looked like a haunted house. The river was beautiful from afar! Today, the excess of plastic packaging has nowhere to go because the country’s waste system is so primitive. Nobody has been properly educated on what to do with garbage because just 25 years ago, there wasn’t any. Everything came in rations and all of the packaging was reused, burned or recycled. Nothing went to waste because everything was in scarce supply. 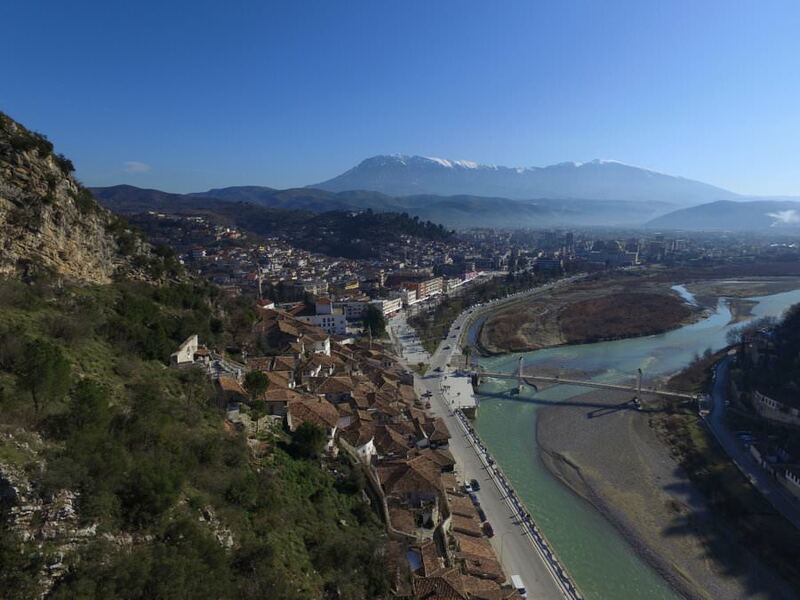 Away from the river, garbage men and street sweepers ensured that the Unesco Listed town of Berat appeared to be in tip-top shape. Cobblestone streets snaked their way between Byzantine churches and Ottoman-style homes until they finally reached an enormous stone wall at the summit of the hill. At the top of the mountain, a 4th century castle commanded the horizon, its ancient stones glowing a golden hue in the afternoon sky. The incredible thing about Berat’s castle is that people still live in it. Once you walk up the steep hill to reach the fortress walls, you can enter through an enormous stone archway and suddenly, you’re in a castle and an ancient town. Shops sell snacks, coffee and clothing, while people sweep their patios, feed their dogs and go about their day-to-day lives, seemingly unaware that they are living in a fairytale castle at the top of a mountain. After a few days of exploring Berat and eating delicious traditional Albanian food at our Hotel’s in-house restaurant, we hopped in the car again, prepared to get lost on our way to Gjirokaster. This time, the GPS seemed to know the way and the computerized robot voice brought us through beautiful scenery into another one of Albania’s famous old towns. We didn’t stay long in Gjirokaster, only an hour in fact, but just long enough to check out the town’s castle, walk around the old town and get back into the car. 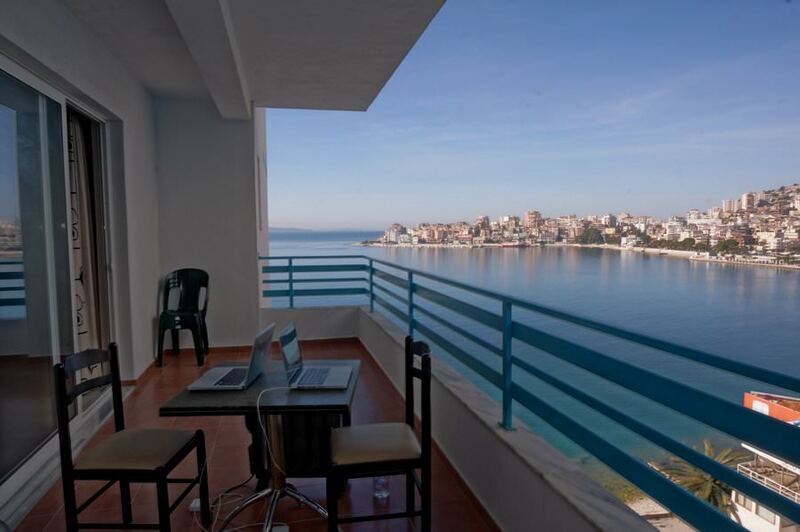 From there we headed to the Adriatic coast where we rented an apartment in Saranda. We checked in to our place and we couldn’t believe the view over the sea. We were on the 7th floor and our 1 bedroom apartment had the best deck for working – although the views were distracting. Not a bad office, eh?! When we headed out to explore the ocean front promenade in Saranda, more of Gazi’s words made sense of our surroundings. We saw Italian restaurants, cafes and wine bars. There was Italian music and Italian television playing in the bars. Gazi had told us that the Italians were one of Albania’s closest allies over the past few decades and their influence along the mediterranean was very noticeable. He told us of a time when TV was censored and nobody could watch anything but government propaganda. Some people stole satellite signals from Italy at the risk of being executed if caught. It was on one of these channels that Gazi first saw a banana, but it wasn’t until 10 years later when he was able to finally hold and taste one. When we walked by a market selling bananas on the side of the road in Saranda, we thought of Gazi again. The yellow fruit was a normal sight for us, and surely now a regular sight for the people of Albania, but remembering Gazi’s words brought new meaning to an otherwise mundane market scene. Of course, Saranda had many more luxuries besides bananas. There were beautiful seaside restaurants, a nice pedestrian walkway, delicious seafood, lovely beaches, some unfortunate overdevelopment and a very Mediterranean feel. But it was the words of our walking tour guide that really brought us through Saranda and the entire country of Albania. To think that just 25 years ago, the country was locked in the harshest communist regime in history is hard to believe. Today, people live in excess. Drinking wine with lunch, driving Mercedes-Benz cars and buying property on the oceanfront – even if they cannot afford to. 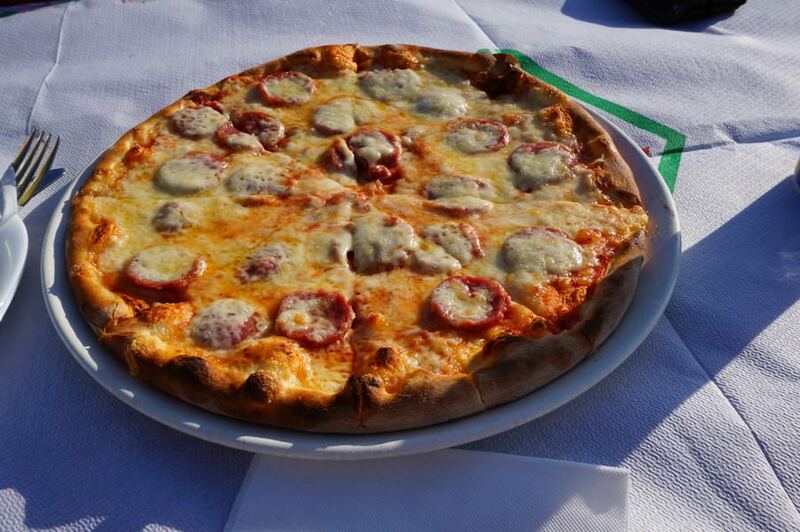 Three men are in heaven, a German, an Italian and an Albanian. They ask each other how they died. The German says, I was driving my Porsche too fast and I crashed and died. The Italian says, I was driving my Ferrari too fast and I crashed and died. The Albanian says, I spent all my money on my Mercedes-Benz and had no money to eat, so I starved to death. Our final drive in Albania was the most beautiful one of the trip, and possibly the most scenic drive we’ve ever taken in our lives. 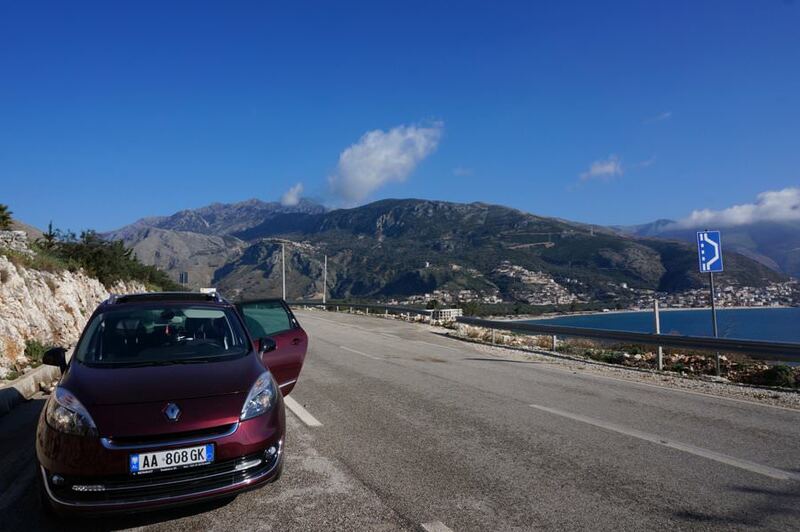 We took the coastal road from Saranda to Tirana, which meandered along the coastline, up over a high mountain pass, and back down to sea level. While winding our way along the Adriatic Sea, with the windows down and the warm breeze blowing in, we were able to reflect on our time in the country. It’s hard to fathom how recent life has changed for Albanians, and while anyone over the age of 25 has lived through a very different time, everyone seems to be looking towards the future with hope and excitement. The people in Albania treated us like friends and honoured guests during our travels and we found it incredibly interesting to hear each of their stories along the way. Gazi certainly had the most descriptive accounts of growing up in Albania, but with each new place we went, the picture of life in the country was painted more vividly. 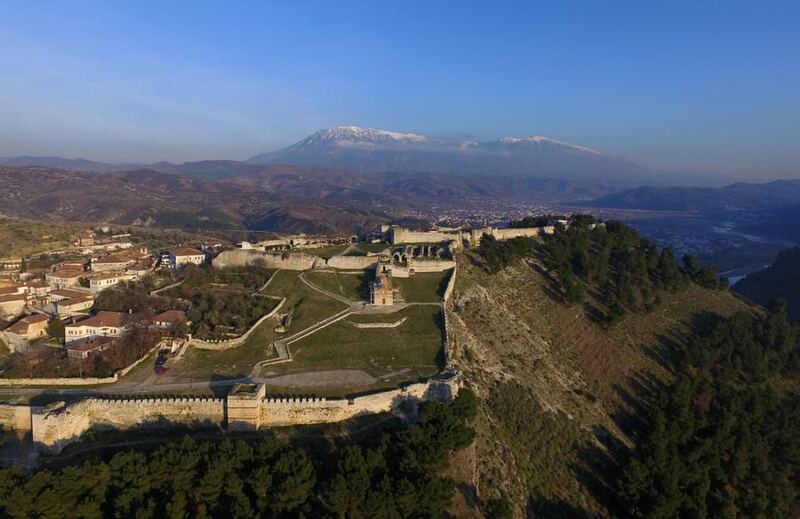 We hope that we can one day return to learn more, because aside from a tumultuous recent history, Albania has everything a traveller could ask for – great food, friendly people and stunning scenery. 10 days just wasn’t enough! A huge thank you to Economy Bookings for hooking us up with our rental! Getting around would have been a challenge without it – and we may have even missed our best drive yet! I was only in Berat but I’m hoping to return to Albania this year to see more of the country! Such a fascinating and quirky place it is! I was actually thinking of all the places you’ve visited, especially Tirana is high on my list! Honestly I know very little about Albania, so it’s great that you guys visited so I can learn about the place. From what I have seen and read I think I would enjoy spending a couple of days there. 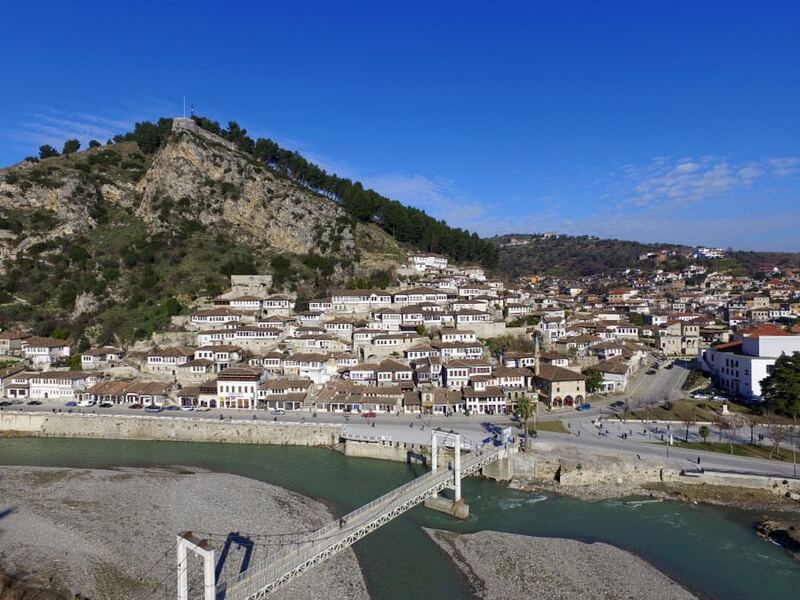 Berat looks amazing and I wonder how come I have not heard about it before. 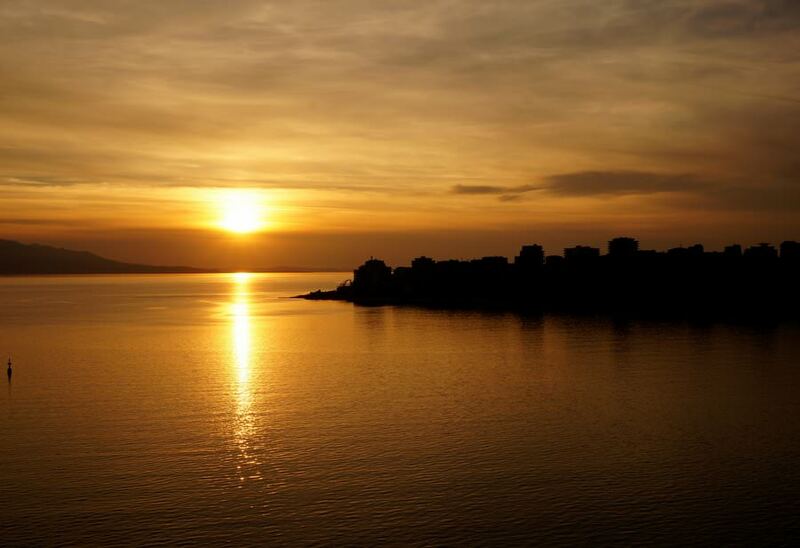 Saranda also looks as a good place to visit, but the Mediterranean feel as Gazi pointed out is a bit common. All in all I want to visit Albania. 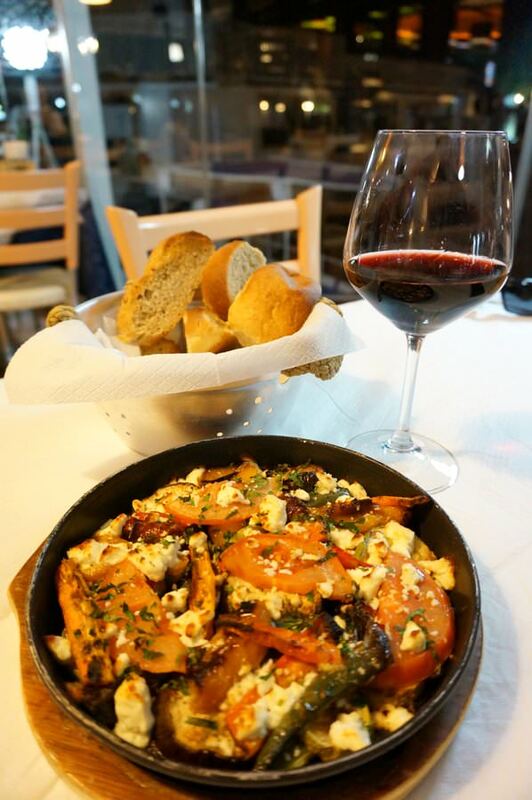 We had a taste of Little Albania when we took a day trip from Skopje, Macedonia to Letnica, Kosovo. 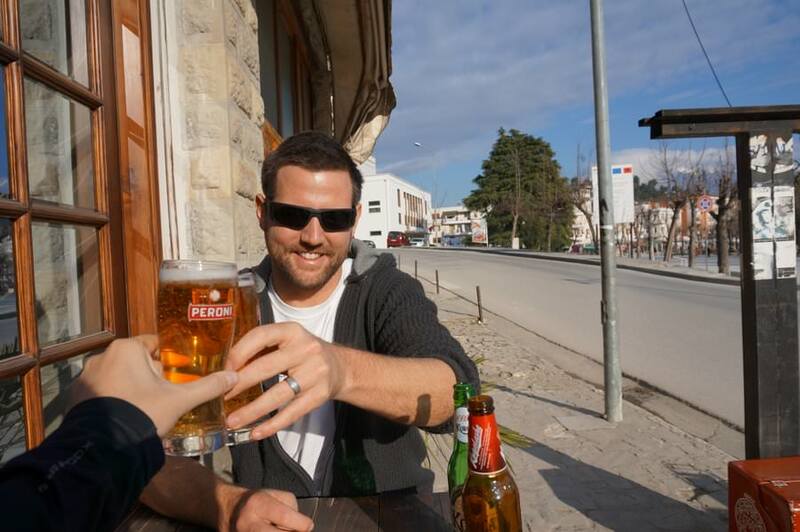 Wished we also took a day trip to a border town of Albania!!! What a fantastic travelogue! Knew all about the Croatian coast to the north. Will have to explore Albania soon. Always good to roam a country where the locals treat you well. This was a great roadtrip. I realized I enjoy roadtrips, I just have to learn to be better at long drives. I have no complains being a passenger but I am not that confident to be the driver especially if the roads are winding. That view from your apartment is incredible! Looks like you had the best of both worlds of immersing yourself in the local experience and seeing a good cross-section of the country! Albania is a place I haven’t given much thought to, it looks like I need to change that! I’m so glad I came across this post. My friends think I’m crazy for wanting to visit Albania but I’m sure it’s because they don’t know much about the country and what it is today. You’ve provided such great info that I can use when I finally make the trip! Always love hearing about your stories Nick and Dariece! I’ve come across so many posts about the Balkan states recently and I can’t wait to check it out once I’m back in Europe! I don’t know much about their history and culture so it sure will be an enlightening experience. You guys do such an amazing job documenting your adventures! More power! What a drive! I loved the pictures of Berat, especially of the windows. Looks really neat to me! How did you find the routes with public transport? Could you get everywhere you wanted to go, or were some of the journeys a bit more convoluted or difficult? We figured a car would be a cool way to get around, and although insane, it was still fun 🙂 Thanks for the comment! That’s great to hear that you had such a good experience with the people – we did too, as we were constantly lost on our road trip…not exactly the best roads / signage! haha. This reminds me of my own 10-day trip through Albania not too long ago–which was also in many ways the complete opposite of yours (evidence here: https://vimeo.com/118803953). 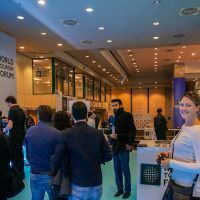 Still, a great time and will be heading back there in about…2 weeks! And I definitely agree w/ other commenters that Albania looks great from up high! Thanks for the comment Joe 🙂 Enjoy Albania, again! Hi.. I’m going to Albania next week and SO TERRIFIED of driving there. We have booked to hire a car but everyone keeps sharing horror stories I wish someone would just my mind at rest. I’m 22, never driven abroad, although have been driving in UK cities for 5 years. SO SCARED!! Albania looks beautiful… just worried the driving will ruin our 10 day roadtrip.. 🙁 any tips? Don’t be scared…just be prepared and drive on the defensive! In Tirana is where it’s really bad actually – no lanes, tons of traffic, really bad driving. The other issue is that the city road signs will be different from your Google Maps, which will be different from the GPS that comes with the car, which is different from the physical map you may be looking at. Roads will end, there’s lots of construction and road creation, and detours…oh ya, it’s interesting! Download both Google Maps and Navmii apps. Make sure to have data on your smartphone. Have a car charger for your phone. It’ll be a bit stressful, but it’s sooo worth it. 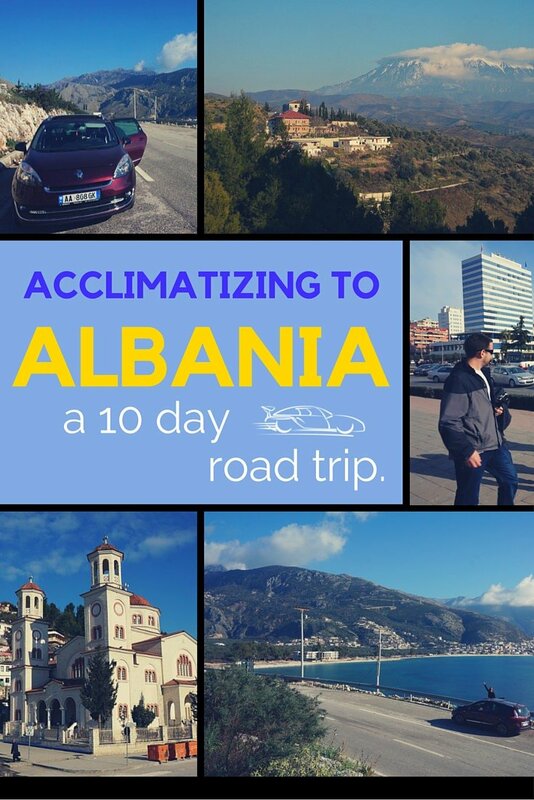 Albania is amazing – you can do it! Also, the road from Saranda to Tirana along the coast is beautiful. 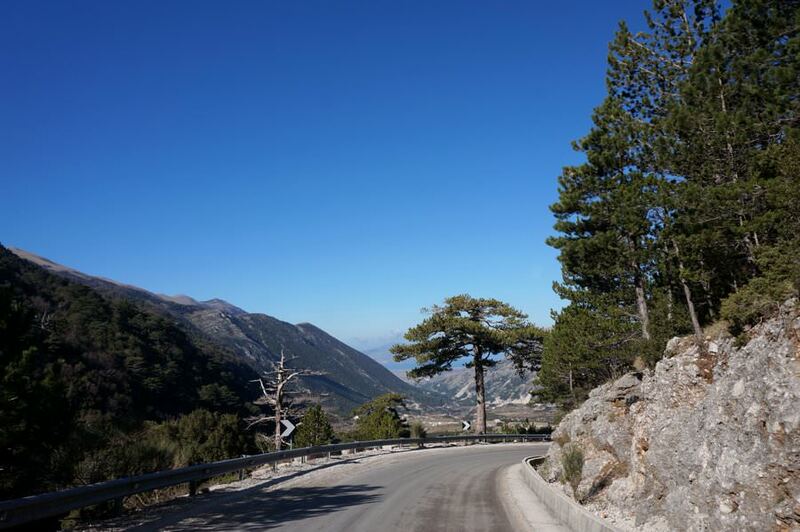 Guidebooks often call this a “dangerous” route, but there’s nothing dangerous about it, just twisty roads. It was stunning and the best infrastructure we came across. Hi, thanks for the reply! I can’t find a Navmii for Albania, Eastern Europe being the closest. I will be sure to call my phone provider tonight to ask for a bolt off for data! We haven’t taken any guidebooks just a basic phrases translation book, a ‘WORLD’ lonely planet (which includes Albania of course!). Nervous but I’m just going to go VERY slowly!! We’re arriving in Tirana at around 9pm in the evening so hopefully it won’t be too busy on the roads. Any more advice for when police stop you etc.. people say it happens often when you don’t have your headlights on but people also said people stop you a lot as a con to get money? I would purchase a local SIM card in Tirana (maybe at the airport, not sure) as it will be much cheaper than roaming with your at home plan – unless you have some amazing world plan! It’s just a few dollars for a sim card, and data is around $2 for 1 GB.Check it out here: http://prepaid-data-sim-card.wikia.com/wiki/Albania We used Vodaphone I think, and had 4G. As for cops pulling you over, it didn’t happen to us. Just act like you don’t understand what they’re talking about! haha. Or, just have a few dollars in your wallet (hide the rest) and say that’s all that you have if you do get pulled over. Don’t worry, it’ll be fine… and fun! The sea in Saranda and the south is not the Adriatic, but rather the Ionian sea. I have been to Albania in numerous occassions and have driven quite a lot there. The road infrastructure is definitely not the way you describe it “…hardly any full-sized highways and only small, bumpy roads connecting most towns…”. There is a high-way (German style) from the boarder with Kosovo to Tirana, high-way from Tirana to Durres, high-way from a part of Fier to Vlora, high-way almost all the way between Tirana to Elbasan, 4-lane road from Tirana to Fier (connecting Durres, Lushnje). High-ways connect roughly 70% of the population. The road from Ohrid to Korca or to Tirana is quite good as well. Definitely Albania’s road infrastructure needs improvement, but it is not at all dangerous to drive in Albania (dangerous for me is India, not Albania). Hi, Great article on Albania. I love to see more and more people writing about this great country. Keep up the good work..Enjoy your travels. Of course is safe Monic,they respect and help the tourists there.The most welcoming people I have ever seen.I loved their hospitality,nature and food .I will recommend to everyone to go and visit this beautiful country.Tirana,Berat,Saranda and Blue eyes in Saranda the most beautiful places.I will definitely go back there …. 10 days road trip to Albania is awesome. Informative post with majestic photos great share.